Suffolk County Police Homicide Squad detectives are investigating the shooting death of a Riverhead man that occurred last night. 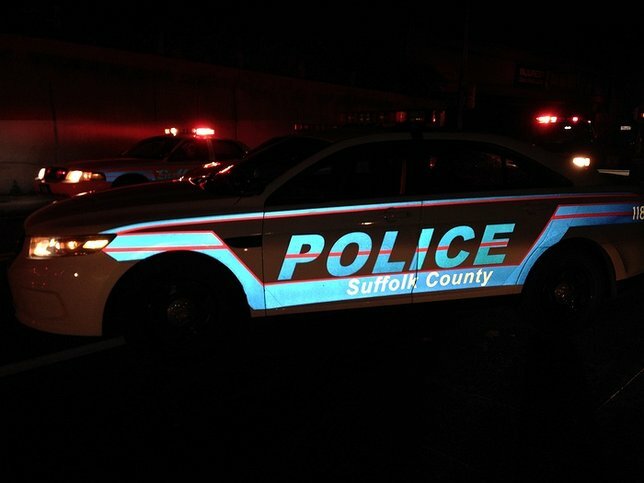 Riverhead, NY - November 18th, 2015 - Suffolk County Police Homicide Squad detectives are investigating the shooting death of a Riverhead man that occurred last night. Members of the Southampton Town Police and the New York State Police departments responded to a 911 call of shots fired at 185E Old Quogue Road at 9:37 p.m. Upon arrival, Thomas Lacolla was found shot to death in a parked 2005 Mercedes Benz outside the residence. Lacolla, 27, of 628 Northville Turnpike, was pronounced dead at the scene by a physician assistant from the Office of the Suffolk County Medical Examiner. The investigation is continuing. Anyone with information on the shooting is asked to call Homicide Squad detectives at 631-852-6394 or call anonymously to Crime Stoppers at 1-800-220-TIPS. Subject: LongIsland.com - Your Name sent you Article details of "Riverhead Man Found Dead in Parked Mercedes"